Casumo is not your average online casino, indeed, by its own definition it is “the world’s first casino adventure”. It’s set in space, so it’s evident from the start that this quirky casino is going to give you an unorthodox gaming experience; the site is fresh, the visuals unique, and even the way in which the interface hangs together is unconventional. We were sometimes confused, sometimes a little lost, but hey, it wouldn’t be an adventure if everything made sense. So while it might not be the place for traditionalists, Casumo is a good bet for the gamers of tomorrow, today. The site is instant play with games powered by Netent, Microgaming and IGT featuring heavily, with numerous tasty jackpots too; in fact, not so long ago a Swedish player won over £3 million on a £1.25 spin only an hour after signing up. Talk about luck. A catalogue of over 1000 excellent games, more than 200 staff and 3 awards under their belt makes it hard to believe that they only entered the industry in 2012, initially targeting the Swedish market before diversifying and bringing their oddball sense of humour with them. Making the most of their off the wall personality, they incorporate social elements and an integrated rewards and achievements system to keep players invested in the world they have created. Whilst we enjoy the fact that Casumo do things differently, we encountered a few sticking issues when we tested the site, namely when exiting games (it’s a little long winded sometimes), and loading times were questionable at times too. These are minor drawbacks really from and otherwise cracking casino, but surprising non the less considering the hype, and could be a growing annoyance if you play there regularly. Functionality was pretty slick the rest of the time, though, and the pastel coloured cartoon design looks fantastic. It has clearly been designed with cross platform scalability in mind which makes it feel effortlessly contemporary. Personally, we found the constant updates on other players activity a little irritating after a while, although it did bring our attention to the Live Chat function since this is also where that can be found. It’s easy to miss, as is the menu button which is almost the same colour as the background. As usual with casino sites, slots make up the bulk of what’s on offer, and the shop floor is incredibly busy here. The 850+ slot games come from Netent, Microgaming, IGT, NextGen, Novomatic and others. This doesn’t leave much room for live games, which are sufficient in number but could perhaps do with a little more care and attention. Less popular instant win games like scratch cards have been left out completely, so this is definitely one for slot enthusiasts, first and foremost. Finding games is fairly simple. 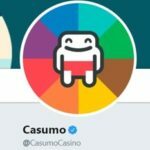 Casumo have hand picked 4 from each category (Popular, New, Casumo Loves, Live, Jackpot), otherwise the games are split into Slots, Table Games, Live Games, Jackpots and All Games. The search box sits alongside and allows you to search by game name or provider, although this isn’t obvious until you select it, and it would have been nice to be able to search by theme too since there are so many slots to scroll through. 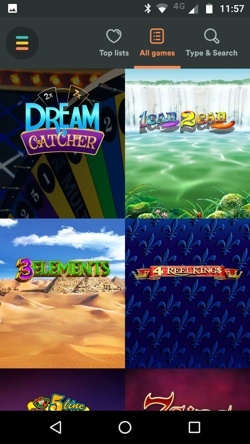 Slots – New titles include Wild Swarm and Temple of Tut, but games like Cosmic Fortune really fit in with the sites theme. Either way, you have limitless choice. Jackpots – The highest jackpots at the time of writing were Hall of Gods and Mega Fortune with over £2million up for grabs in each. That’s just two of almost 50 jackpot games. 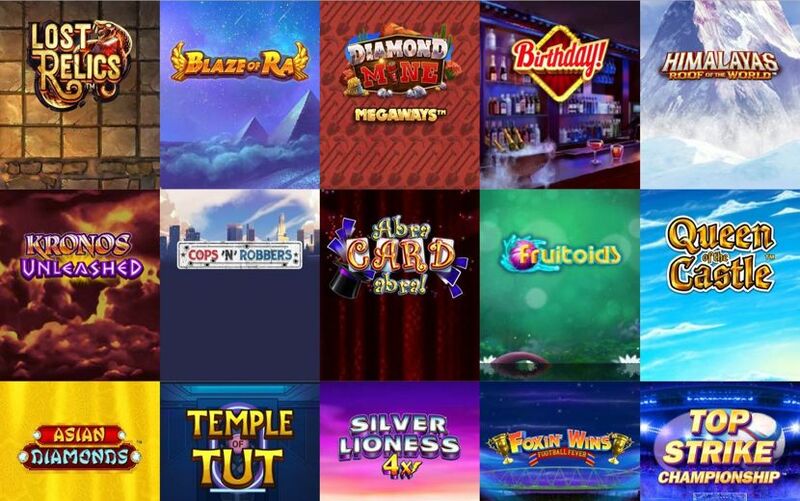 Live Casino – The 11 live options are mainly from Evolution Gaming, with NetEnt backing them up. Football Studio is one for the sports fans, while a selection of Roulette, Baccarat, Blackjack and Poker will satisfy everyone else. Table Games – If we had to suggest just one of the 57 table games at Casumo, it would be Pai Gow Poker – mainly because it’s fun to say. If you take things more seriously than we do, there are scores of Roulette and Blackjack variations, plus Red Dog, Baccarat, and did we mention Pai Gow Poker? Tournaments – Reel Races, as they are called here, are free to enter and happen throughout the day. Challenge others on your favourite games, take advantage of Race Boosters, and win points. This feature is totally unique to Casumo, and works best if you are prepared to fully buy into the Casumo universe. It’s a fun twist on a loyalty program and another weapon in their arsenal for the war on boredom. It borders on RPG game territory in many ways and gives the whole thing a more sociable feel. When you sign up, a new Casumo creature is born. This little fella will be with you throughout your adventure as you achieve new levels and gain access to new planets (yep, new planets) and are awarded trophies and valuables. These are stored on your adventure page where you can show off your trophies and awards to other players who view your profile, as well as store your valuables until you choose to use them. These valuables can be free spins, deposit bonuses, free cash etc, and the higher your level the greater your chance of finding valuables. Having won the coveted EGR Mobile Operator of the year award in both 2017 and 2018, you can bet your bottom dollar that gaming on the go is top notch with Casumo – as evidenced by the percentage of players we saw winning via mobile on the aforementioned update bar. The site is optimised for mobile gaming and there is also a downloadable app, although these are virtually identical, meaning mobile gaming is available regardless of the device you use. The experience is fairly diluted when compared to the desktop site and more akin to what you might find on a mainstream casino, but it is effectively streamlined to make getting on with gaming incredibly quick and simple. A particularly nice touch is the ability to minimize games without exiting them (just pinch the screen) so that you can use other areas of the app/mobile site without closing the game. We discovered this thanks to the ‘Pro tip’ that popped up as a game was loading, making use of the dead time. In a saturated market you need a USP to succeed, and they don’t get much more unique than setting your casino in space and having it run by aliens. The 200+ strong team behind the casino are self-styled nerdy game enthusiasts determined to challenge convention and elevate the gaming industry to the next level. With headquarters in Malta as well as offices in Barcelona and Gibraltar, the weird world of Casumo was conceived in 2012 focussing initially on players in Sweden, before being granted a UK license in 2015 having already won the EGR rising Star award, 2 EGR awards for innovation, and another for their mobile product. They followed up with two more in 2017 and 2018, and then signed a three year advertising deal with the SSE Arena, Wembley. T.V and online marketing campaigns gave further insight into the world of Casumo, with the War on Boredom advert in particular sticking in the memory. They even developed a comic strip to help widen the Casumo universe. The major downside here is that there is no phone support. However, the live chat is available 24/7 and the staff are knowledgeable and quick to respond, as well as being multi-lingual. You could email too, and the team come across as genuinely wanting to help. We found a number of complaints online but feel confident in telling you to ignore them. None of the unhappy customers seem to understand UK law, gambling, or simply hadn’t read the t’s and c’s – and Casumo replied to every comment with the manners and patience of a saint, albeit a slightly patronising yet quietly amusing saint. Live Chat – 24/7, multi-lingual, helpful staff. Eyes to the bottom left of the page to find it. Address – Casumo Services Ltd, Unicorn Centre, Triq L-Uqija, Ibragg, Swieqi, SWQ 2335.